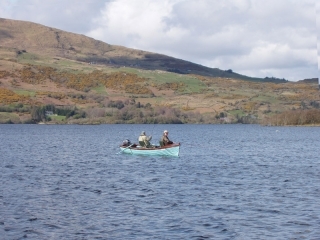 Brown trout fishing in Ireland West Lake District is principally lough (lake) fishing and the large limestone lakes of Corrib, Mask and Carra are at their best in the earlier part of the season, culminating with the Mayfly season (May/June). 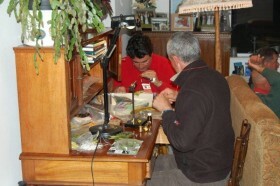 The fly fishing starts in earnest at the end of March/early April and this can be the best period for the traditional wet fly angler, fishing teams of 2, 3 or even 4 flies to the large hatches of duckfly (large chironomid). As April progresses the emergence of the lake olives begins and hatches continue in to May. In recent years, hatches of mayfly have begun in late April/early May and, depending on weather conditions, the hatches can continue through till early June at some locations. The most popular local method of fishing in May/June is dapping the natural fly but there is also plenty of sport for the dry fly, wet fly and nymph enthusiast. The fishing of the big lakes tends to slow down during the summer months although evening fishing, with sedge and buzzer patterns, can be very successful in specific areas. Generally the fishing improves again in late August and on in to September with trout feeding on daphnia and terrestrials, such as Daddy Longlegs. There is a limited amount of river/stream fishing for brown trout in the immediate area but there is the option of bank fishing some hill lakes for small brownies. 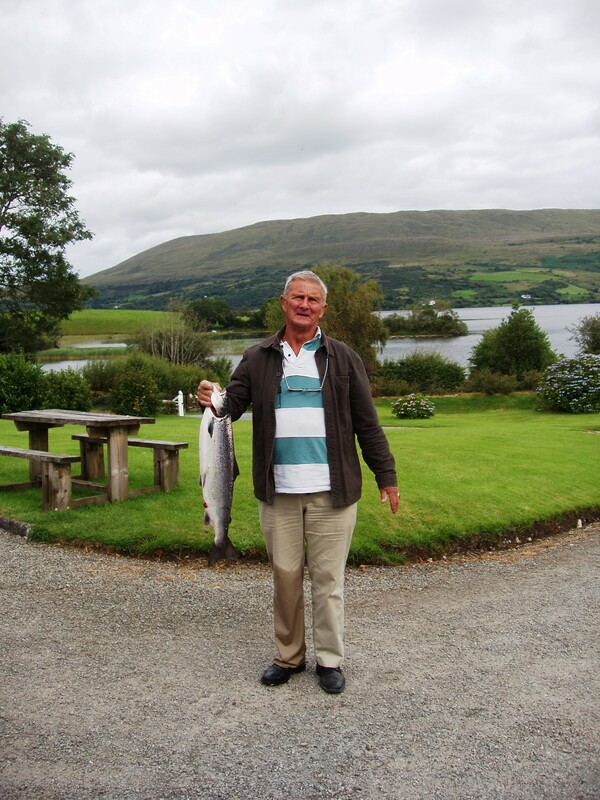 The sea-trout fishing is essentially stillwater fishing, although certain rivers fish well including the Cashla on the Costello & Fermoyle fishery in south Connemara. The sea-trout start to run towards the end of June but it is not until early July that the main runs are seen. In general, fishing is done from a drifting boat using a standard trout rod, a floating line and a team of 2 or 3 flies. Popular sea-trout patterns include Bibio, Zulu, Bumbles, Black Pennell and Connemara Black. These fisheries are fly only, with dapping also permitted, and catch and release is mandatory. The principal run of salmon is the grilse run which begins at the end of May and continues throughout June and July. The rivers offering grilse fishing include the Corrib, Erriff, Bundorragha (Delphi), Dawros (Kylemore), Derryclare Butts (Inagh) and the Cashla. Further afield, river salmon fishing can be found on the Moy and other waters in the north-west. By comparison to U.K. and Scottish salmon rivers, most of our rivers are small and there is little necessity for two-handed rods; single-handed or even trout rods are the norm. 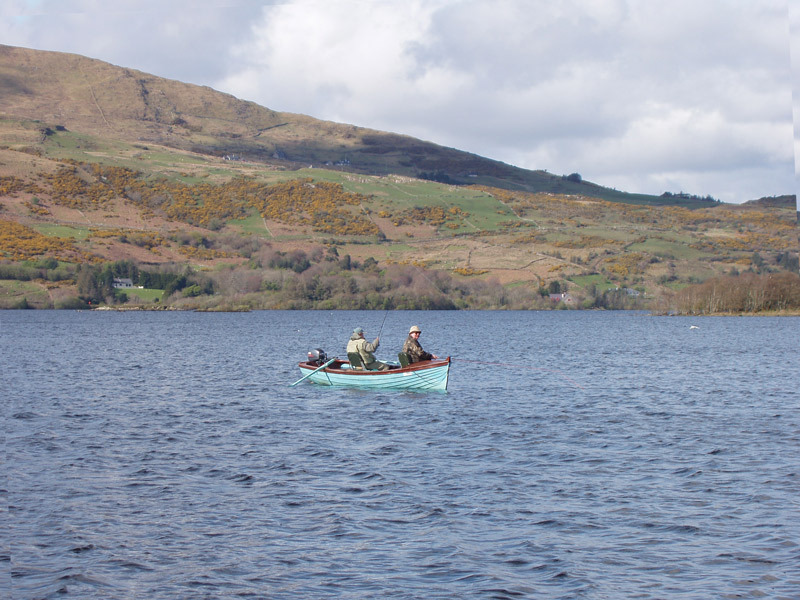 There is an abundance of stillwater fishing for grilse including the lakes at Kylemore, Inagh, Costello and Delphi and, to a lesser extent, on Lough Corrib. These fisheries are generally fly only with a few exceptions, where spinning, trailing and worming are permitted. A permit is required to fish the salmon/sea-trout waters listed and also a State licence which can be purchased either on-line or at the fishery.